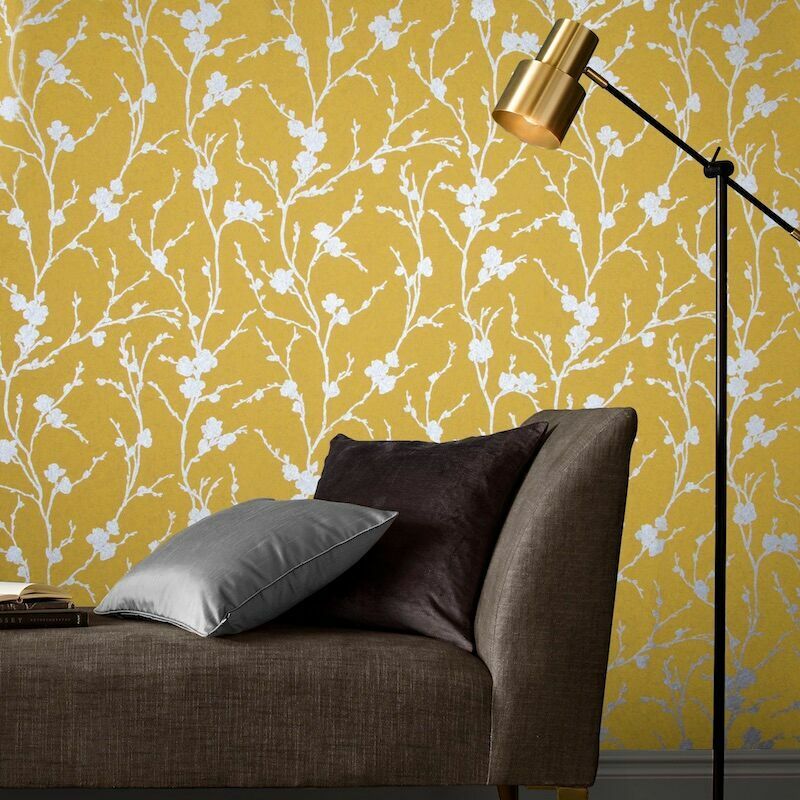 For more than 70 years, Graham & Brown has inspired people to think differently about their walls through continuous innovation, creativity, and craftsmanship. Founded by two friends – Harold Graham and Henry Brown – the business has been family-run from its Headquarters in Blackburn, Lancashire since 1946. 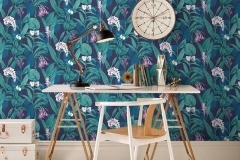 Now the UK’s leading wallpaper manufacturer (based on manufacturing volume), Graham & Brown products are sold via major international Home & DIY retailers as well as direct to customers in Graham & Brown retail outlets and on grahambrown.com. 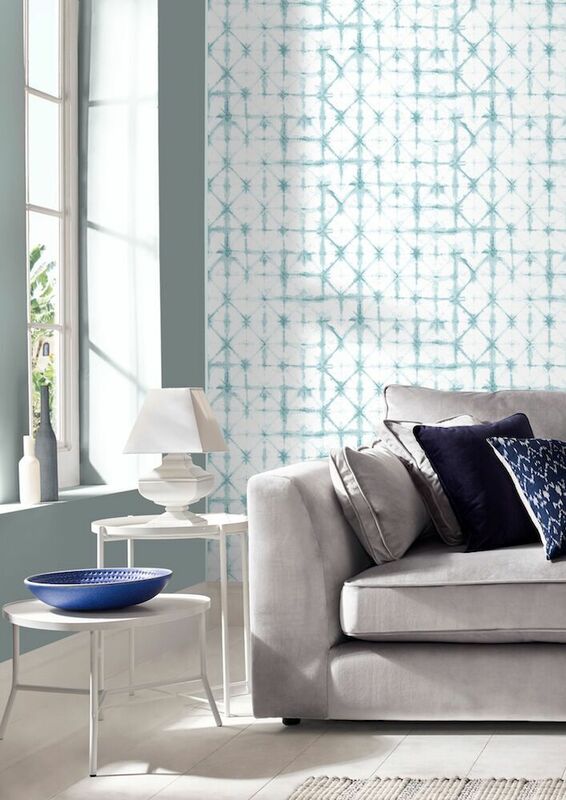 Voted a Cool Brand™ seven years running, and Best British Decorating Brand 2017 by a leading British newspaper, Graham & Brown is sold internationally to over seventy-five countries through its divisions in North America, France, Holland, Russia, China and Australia. Andrew Graham, Chief Executive Officer and third-generation member of the co-founding family, believes that the dedicated employees at Graham & Brown are what set the company apart from its competitors, “The people at Graham & Brown are our magic dust.” Seventy-nine employees have been at the company for over twenty-five years! All are passionate about delivering the highest quality product and exceeding customers’ expectations. The intent of the designs? 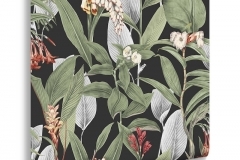 Botanical – Botanical takes the ancient art of drawing and recording to depict beautifully detailed plant studies. 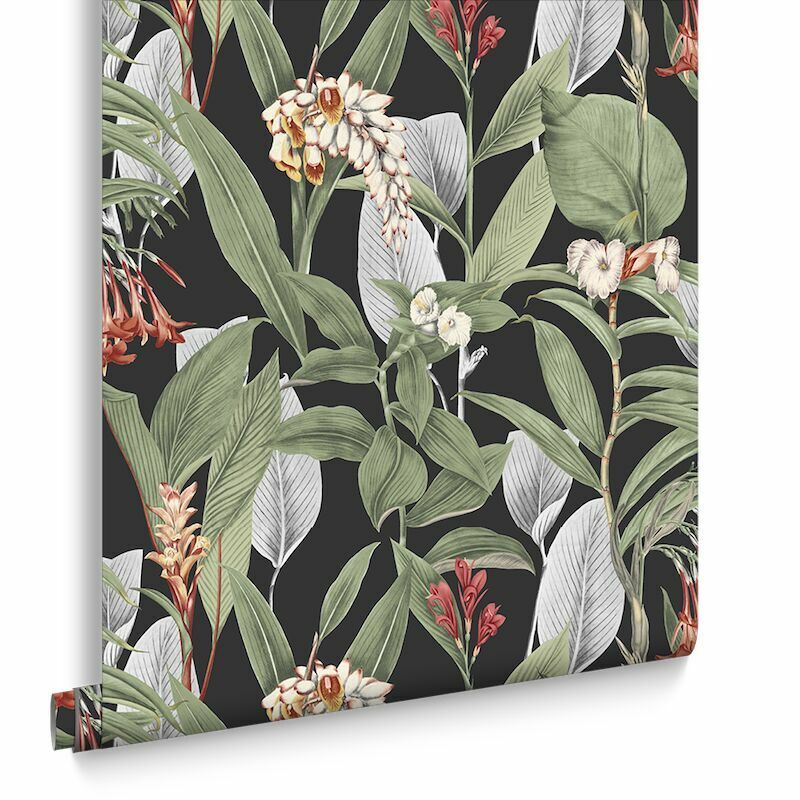 Inspired by leading botanist Charles Darwen, these appealing and technically hand painted specimens showcase warm tones of vermillion red and soft grey highlight against a dramatic black background, reminiscent of a clear night sky, this invigorating color scheme helps emphasize the intricacies of these stunning botanicals. 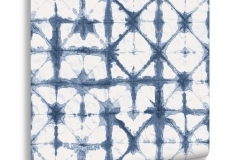 Indigo – The organic style of Indigo is formed using a traditional Japanese dyeing technique, Shibori. 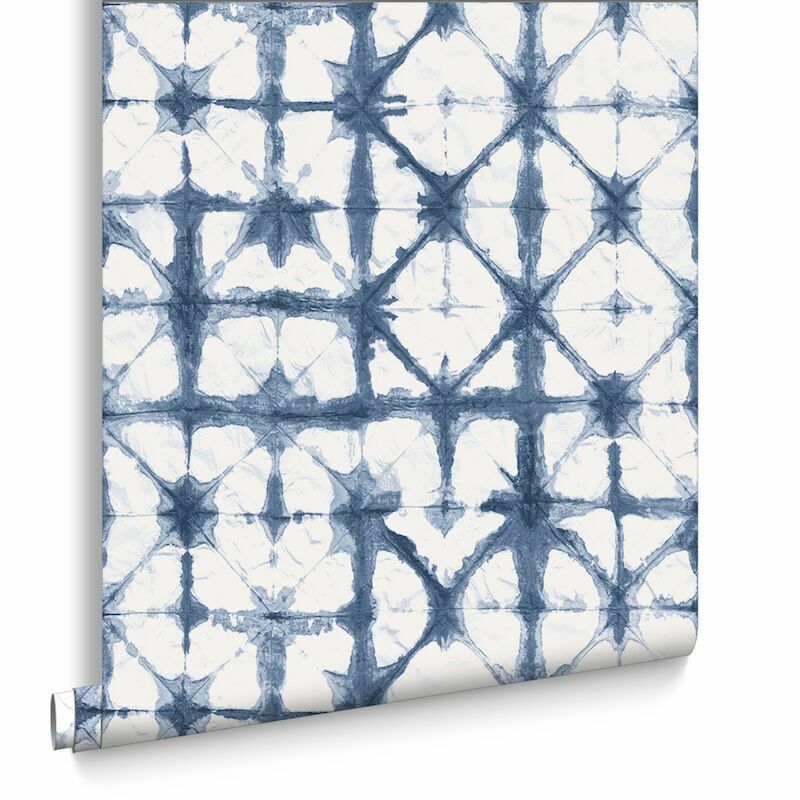 Indigo Grey embraces the simplicity that this skilled craft brings through the twisting and wrapping of fabric, creating a beautiful surface design with hand formed geometric patterns. 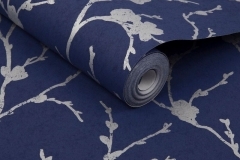 Indigo uses a soft palette creating a contemporary feel to a classic textile application. Meiying – Meiying Chalk combines the subtle beauty of the cherry buds and sprigs with a fresh white chalk color palette. 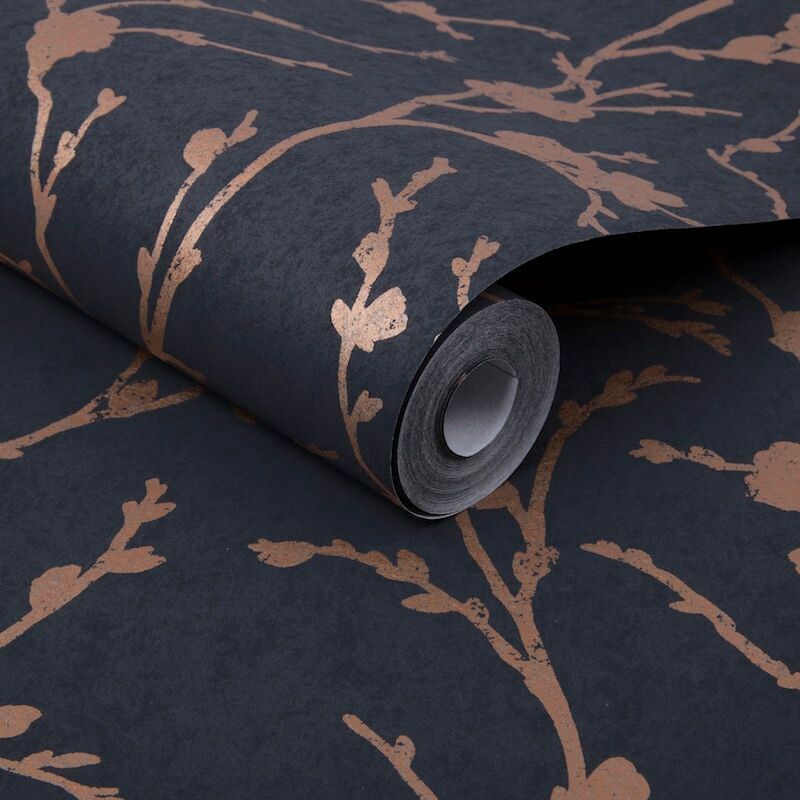 This hand painted design enjoys a metallic finish of the cherry blossoms motif, on a high quality fibrous paper. The end effect is crisp and fresh with a lovely shimmer. 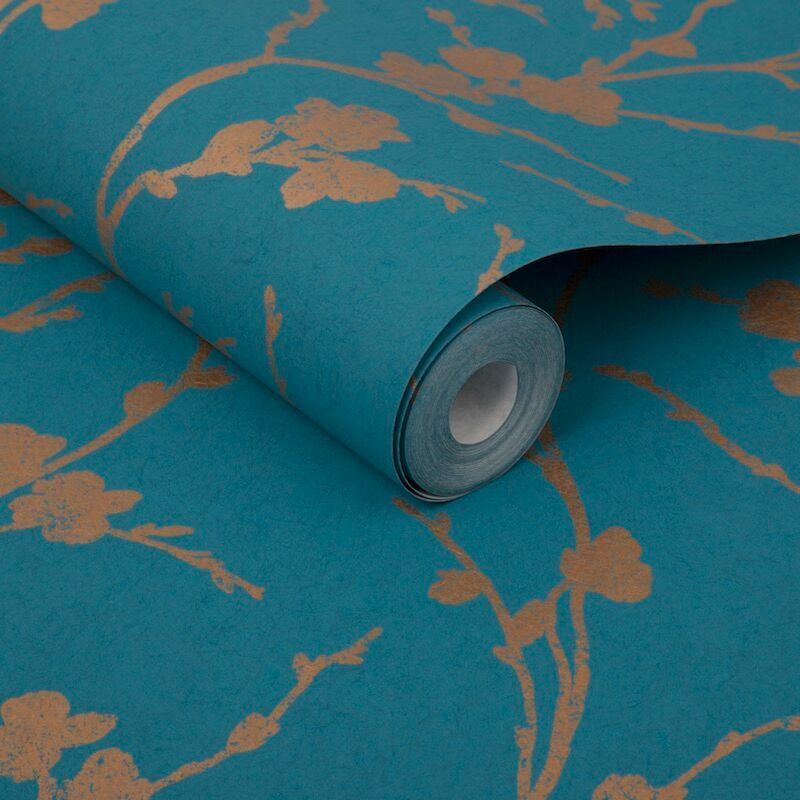 At Graham & Brown creating wallpaper is an artisanal process with the human touch at its very heart. Since its inception, the company has created an extensive archive of over 30,000 pieces, including both in-house design works and historic works (some dating back over two hundred years), which continues to grow each day. 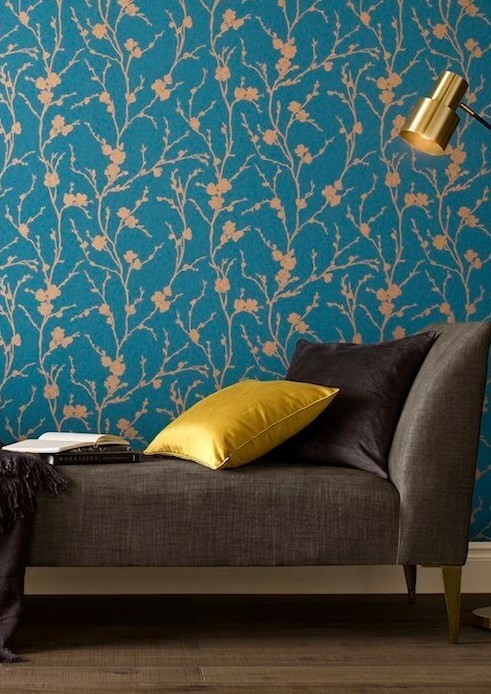 Artworks are hand drawn or painted in the Graham & Brown studio by a team of multi-talented surface pattern artists. These artworks can take several days to create, and every creation is carefully archived so it can also be drawn upon in the future. From these artworks, designs are manipulated, colored and separated, utilizing both commercial and specialist software applications. 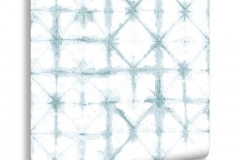 Completed designs are digitized and separated into layers that allow for it to be manipulated during the printing process, i.e. 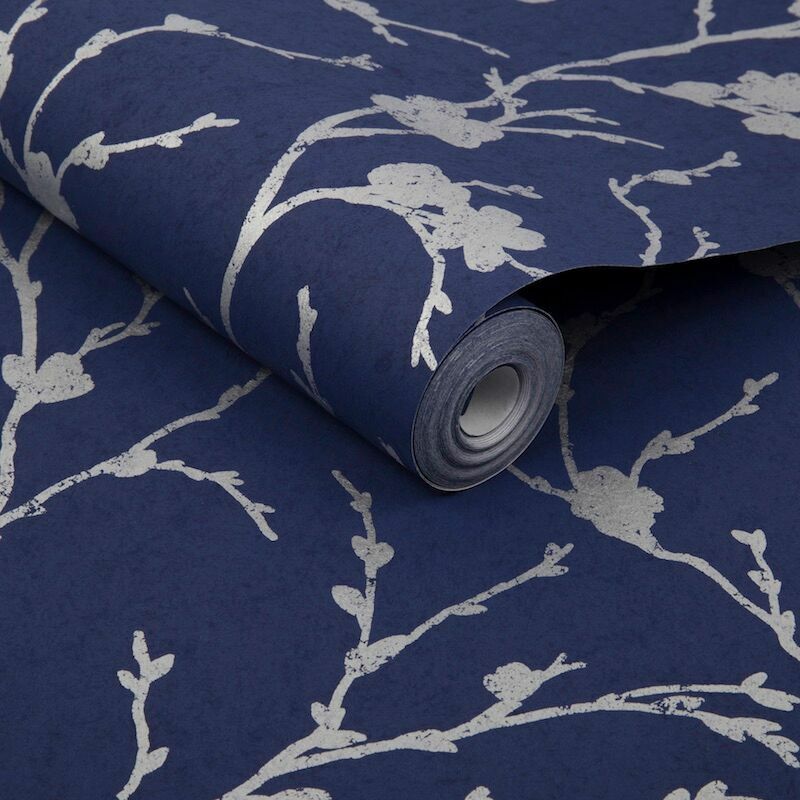 the petals of a floral design might be printed by one cylinder, and the leaves by another. 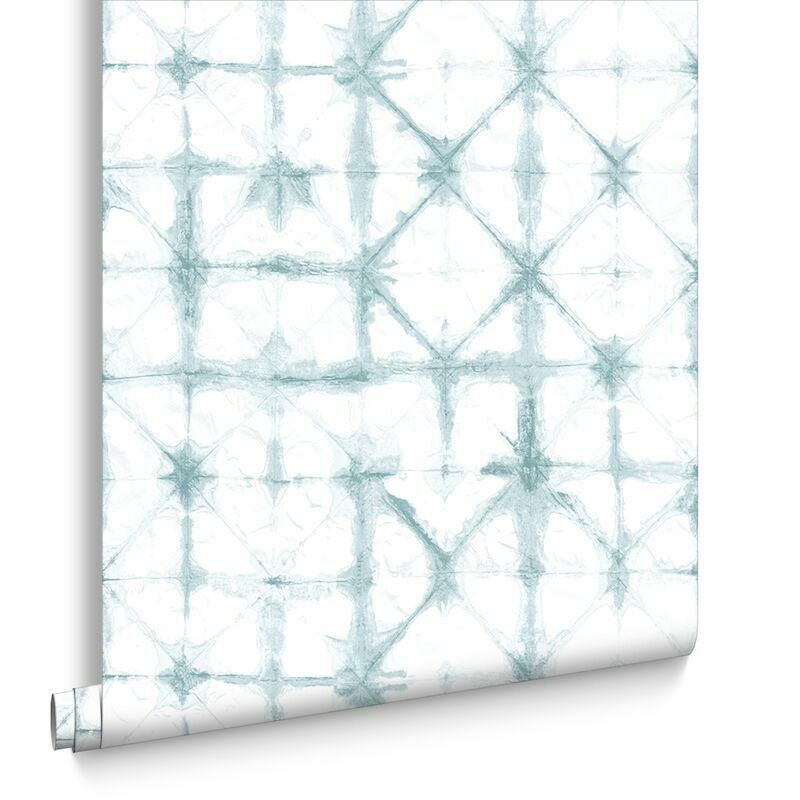 Colors for the designs are mixed by eye from just four base pigments by the Graham & Brown color experts. Perfect color vision is essential and is identified using the Munsell vision test, which measures superior color analysis. 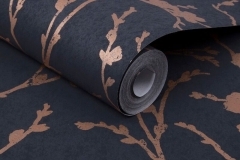 The wallpaper design is then shared with the production teams in the factory. 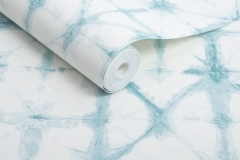 Graham & Brown uses water-based VOC-free ink in all of its wallpaper. 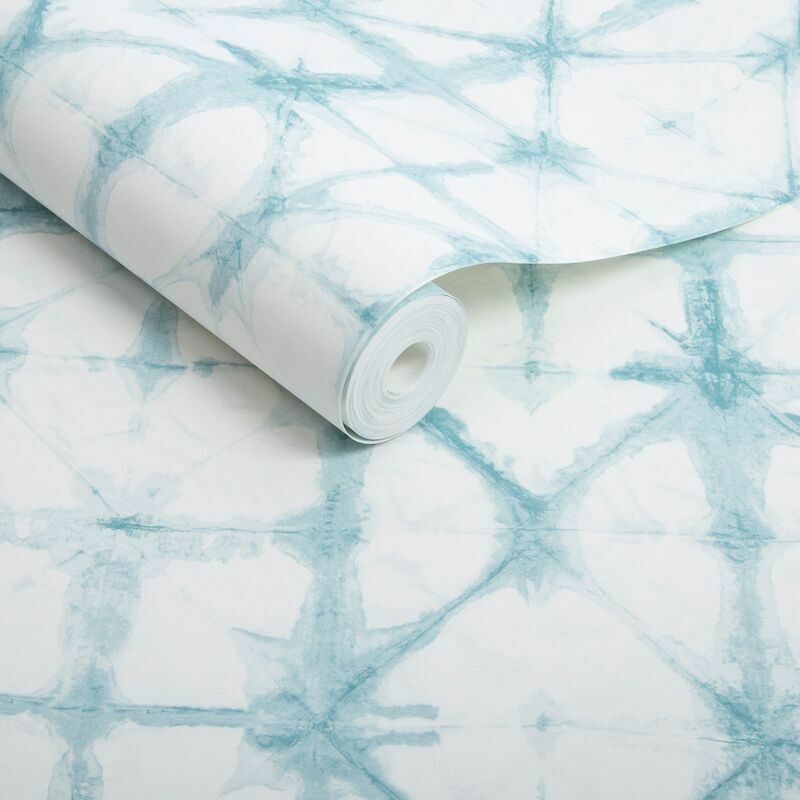 These four styles – Botanical, Indigo, Meiying, and Tropical – are each displayed on non-woven wallpaper that won’t shrink over time and has quick and easy ‘Paste the Wall’ application. 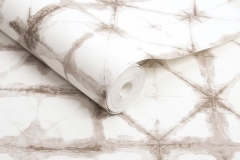 This allows the paste to be applied to the wall, rather than the wallpaper, so it can be hung straight from the roll and peel off of the wall seamlessly if needed; there’s no soak time and no pre-cutting table required. 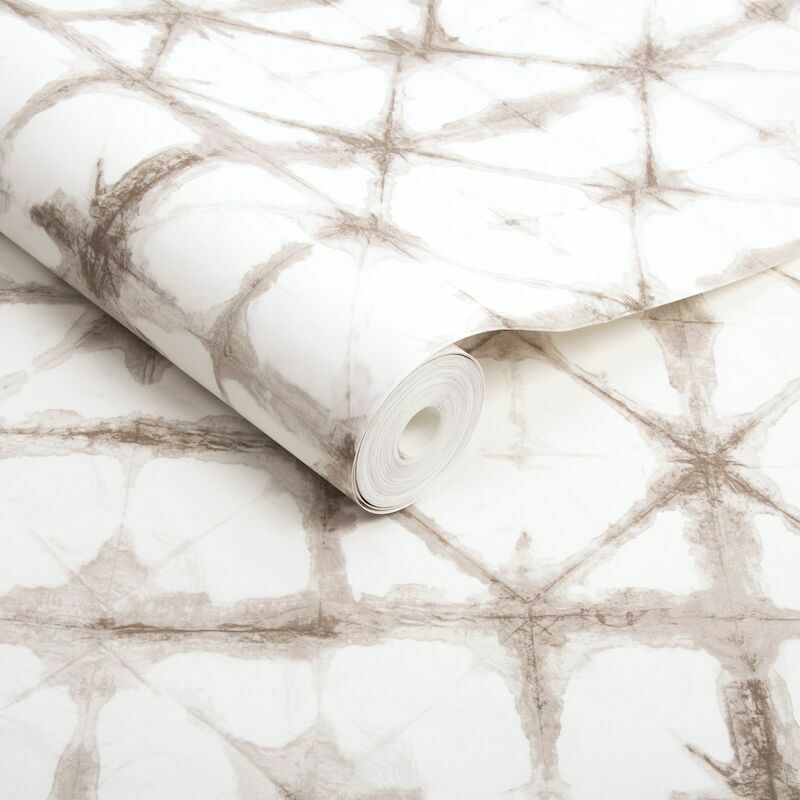 This is the quickest and easiest way to wallpaper, and is especially great for apartment renters or those looking to make frequent design updates. 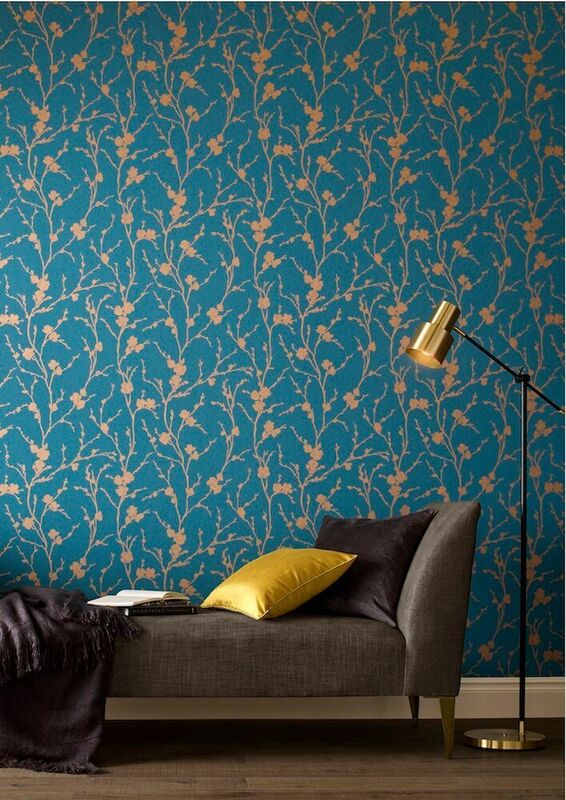 The Graham & Brown manufacturing team has been producing wallpaper in Blackburn since 1946. 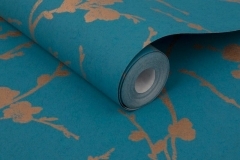 With countless years of experience and expertise, the manufacturing unit can now sustainably produce over 16 million rolls of various types of wallpaper per year (making it the largest wallpaper manufacturer in the UK by manufacturing volume). 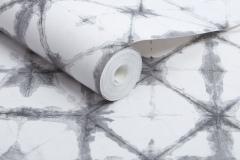 Graham & Brown uses multiple techniques and processes to print its wallpaper effectively. 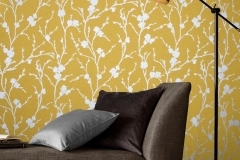 All Graham & Brown wallpapers are produced to the highest standards. 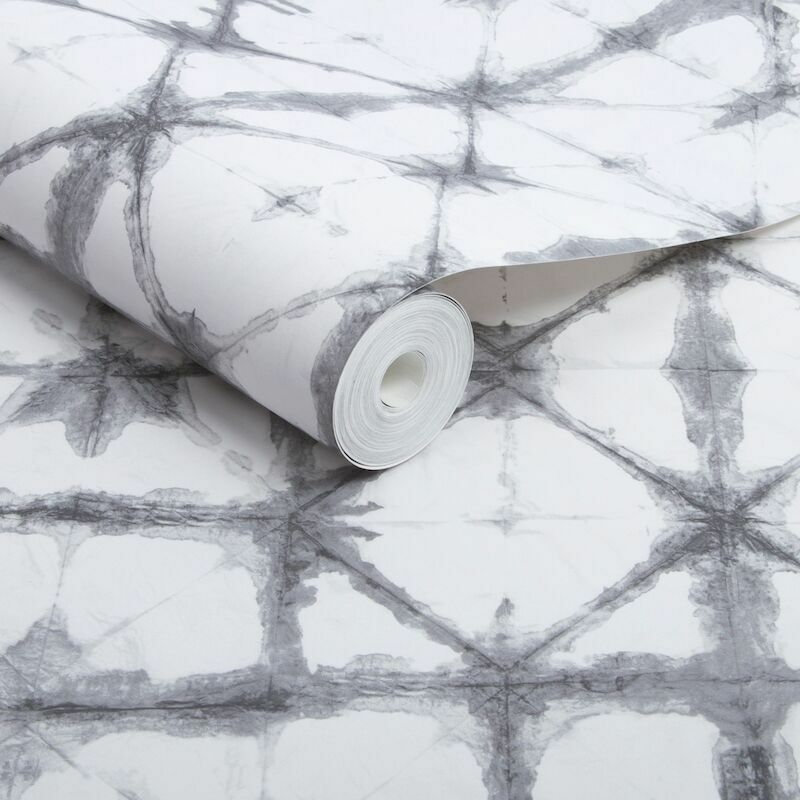 One roll from every batch of wallpaper made in the factory is hung onto the walls in its Quality Control department to ensure that the color is consistent, the print has been produced correctly, the textures are the correct depth, and most importantly that the wallpaper hangs and removes easily. 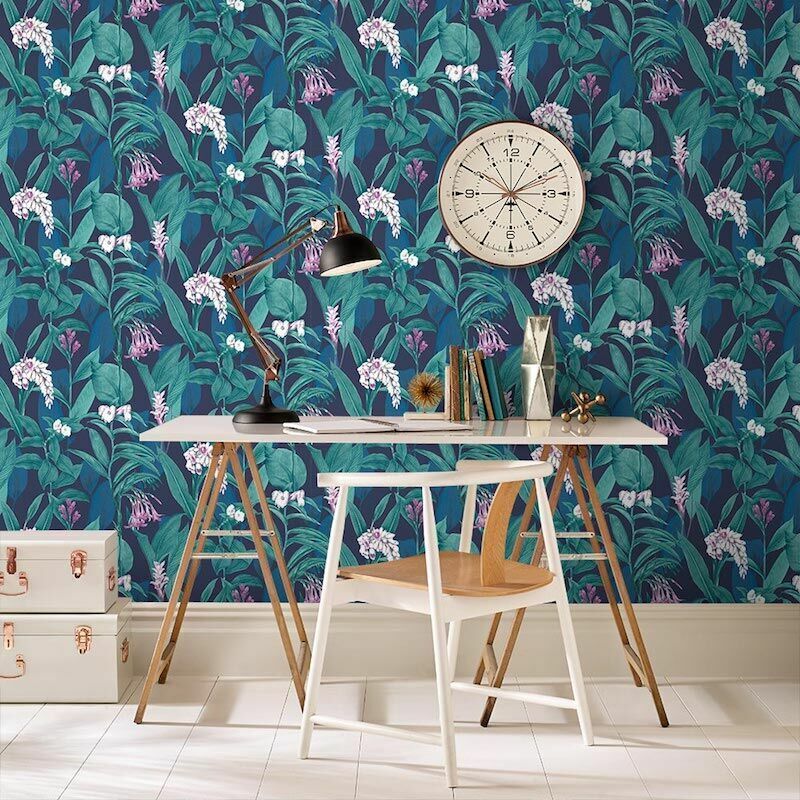 As the largest manufacturer of wallpaper in the UK, Graham & Brown has sustainability at its core, incorporating a number of practices into its manufacturing and design processes to minimize its environmental impact. For every tree used by Graham & Brown, three are planted. This is extremely important; although Graham & Brown uses around 23,000 tons of paper each year, the area surrounding the paper mill is able to continually supply paper to the factory, so no new forests are felled. Graham & Brown also separates production waste to ensure that paper is re-pulped and all white spirits are recovered from any liquid waste. All cartons are FSC accredited, and boxes are glued together to avoid the use of non-biodegradable vinyl tape. Any pollutants produced during manufacturing are ‘burnt-off’ in an incinerator to reduce the release of harmful emissions into the atmosphere. The heat produced during this process in then recycled within the production process. Although it can be a challenge, Graham & Brown works hard to minimize its energy consumption where possible, even coordinating dispatch & route planning in order to keep transport impact as efficient as possible for shipping product to retailers and customers. The purpose-built facilities have been accredited with ISO14001 and deemed ‘low-risk’ to the environment, a true testament to Graham & Brown’s dedication to quality.